The new Wynyard Church of England Primary School is to be built for opening in September 2017. Access will be from a road off Wynyard Woods, through existing woodland beyond the overflow car park for the apartments in Sylvan Mews. 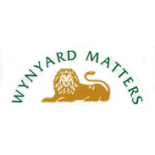 Wynyard Estates have confirmed that the school will be built next to the village centre on land to the west of the rear of Park Avenue, currently farmland. This entry was posted on May 22, 2016 by wrasecretary in Announcements, Planning, Updates.